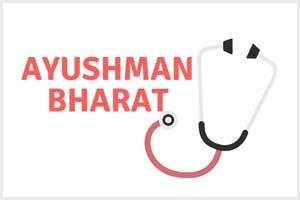 Chandigarh: The Haryana government has decided to launch the Ayushman Bharat- Haryana Health Protection Mission on the Independence Day, August 15, to provide cashless healthcare facilities to beneficiaries at empanelled hospitals. A decision to this effect was taken in a meeting held under the chairmanship of Chief Minister Manohar Lal Khattar here, an official release said. A total of 15.50 lakh families, including 9,25,014 in rural and 6,26,761 in urban areas, that figure in the SECC-2011 database would be entitled to claim the benefits, the release said. Work is in progress to empanel more hospitals. Out of 1,350 treatment packages provided by the government of India, about 266 packages would be reserved by the state government for public health care system in government hospitals of the state, the statement said.